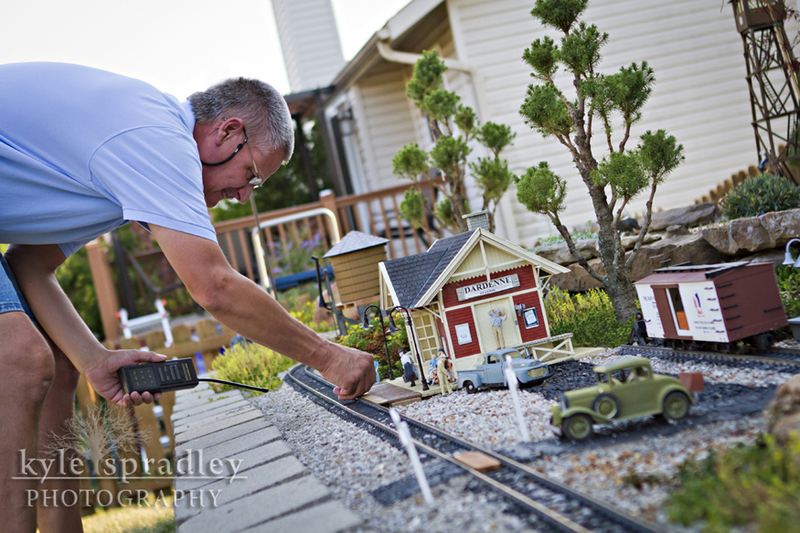 For next month's issue of Rural Missouri I did a story on Mark Hann of O'Fallon, who has taken his hobby of model railroading outside to the garden. 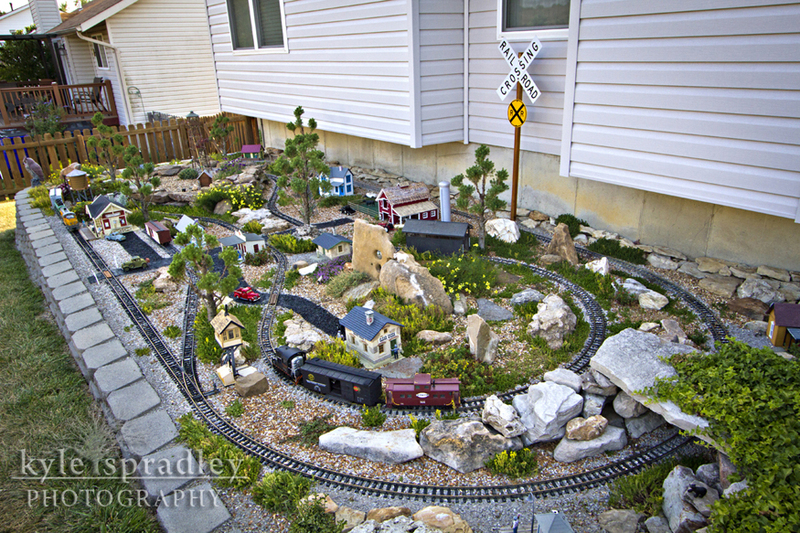 He is part of a growing trend of hobbyists that are enjoying adding real plants and rocks to their layouts outside. 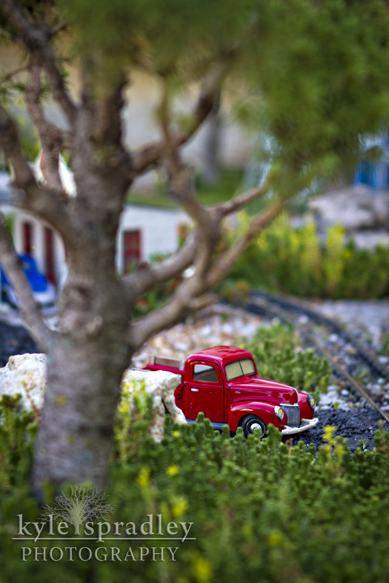 Besides being a little more lifelike, the garden sets use bigger trains, which can mean wider turns and a bigger layout. 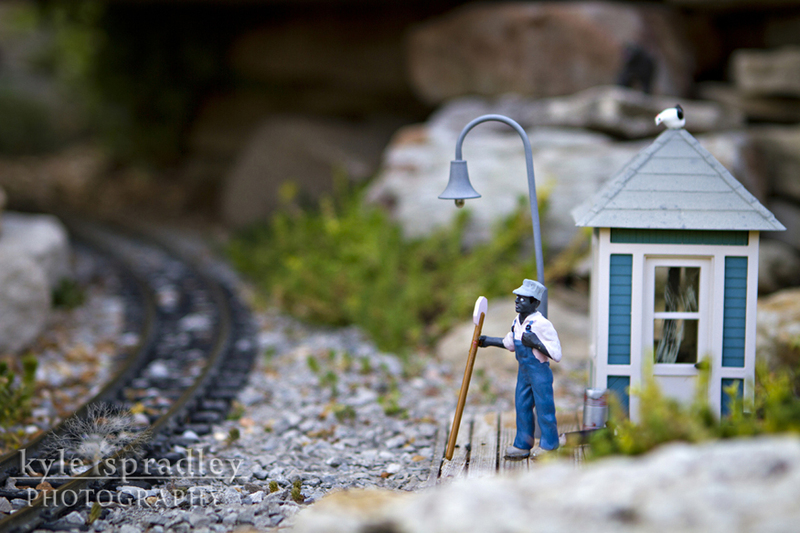 Wonder what it is like to ride this train? 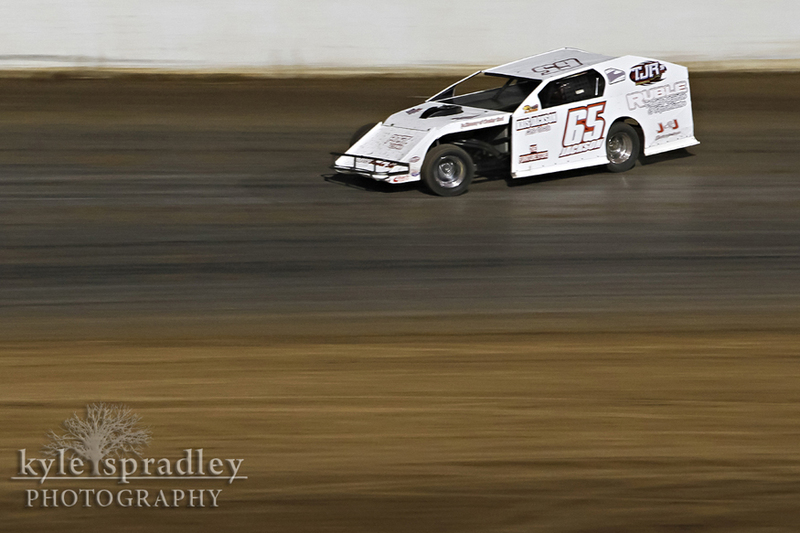 Then check out this video below that I shot with my GoPro mounted on the train. 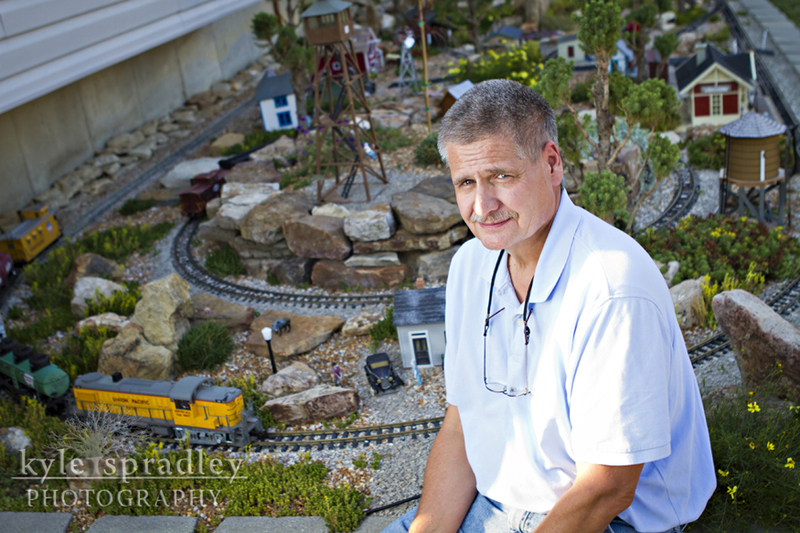 Mark Hann of O'Fallon sits in front of his garden railroad set. 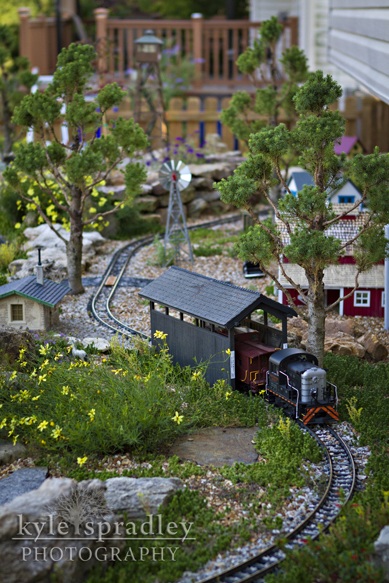 An overview of his 32-foot-by-12-foot garden layout. 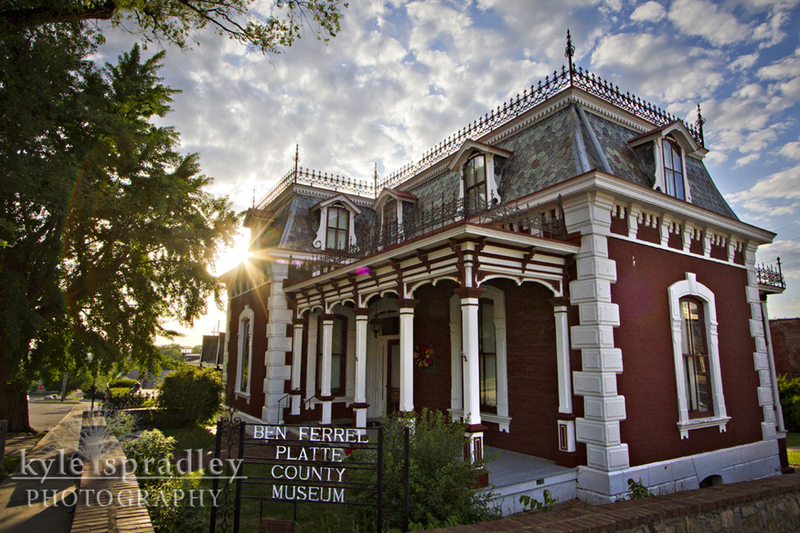 For this month's Rural Missouri, I worked on a story about a restored mansion north of Kansas City in Platte City. For nearly four decades, a group of volunteers worked on repair and restoration of the home and now it is open to the public for tours. 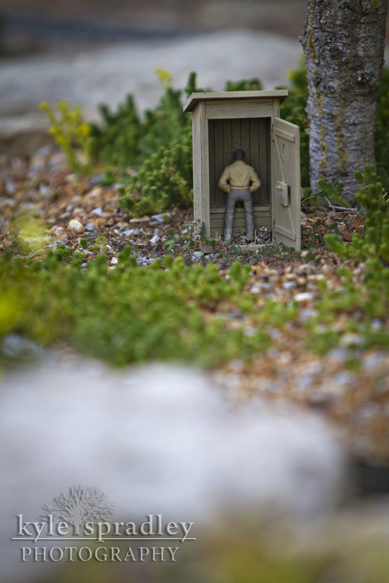 Quite an amazing place. 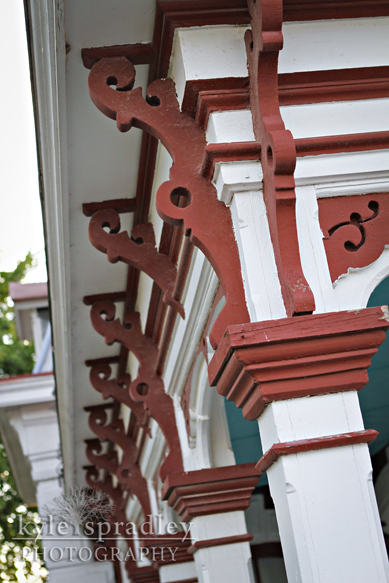 The craftsmanship and beauty of the house is spectacular. An interesting note — the original owner: Frederick Krause, was good friends with Missouri's governor at the time which might explain why the home is a mini-replica of the Governor's Mansion in Jefferson City. Most of these images I shot using a technique called HDR (High Dynamic Range). Since the sun was setting behind the house and I didnt want the front of the house in shadows, shot multiple images at different exposures. 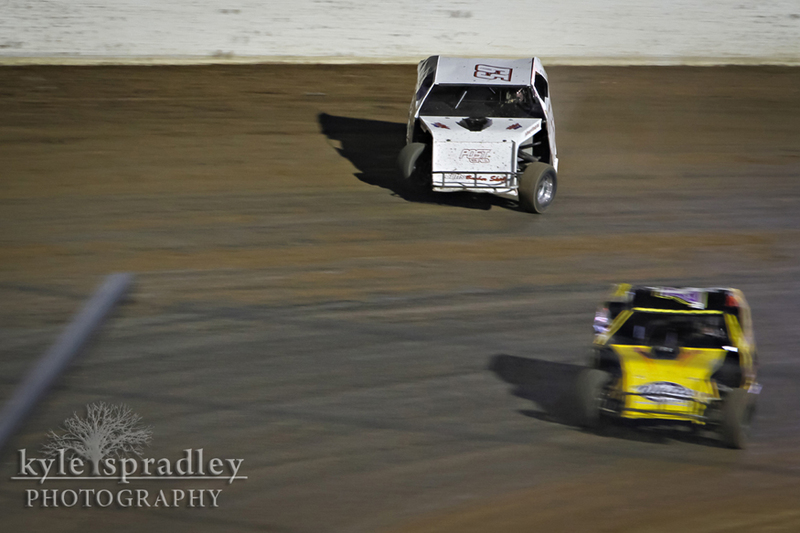 Using Photomatix software, I combined the images to give it a rich, but hopefully not too unnatural look to the image. Enjoy! 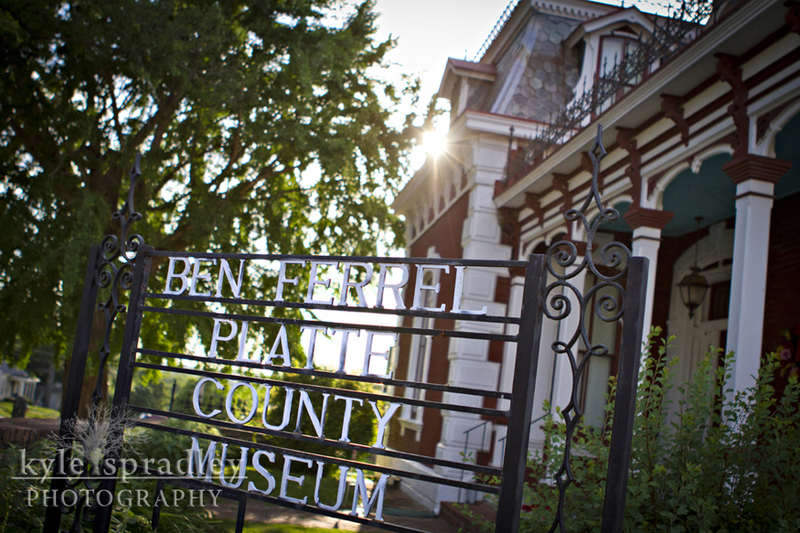 The Ben Ferrel Museum in Platte City, Missouri. 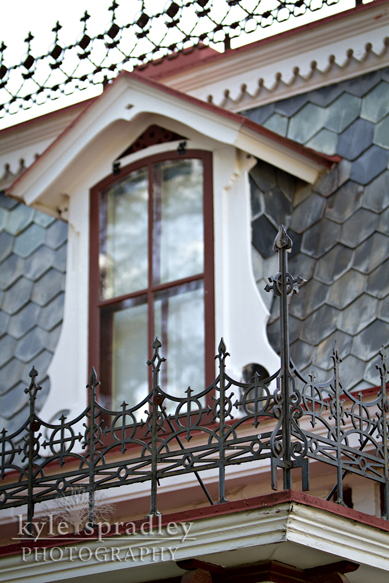 The home was originally built by Frederick Krause in 1882. 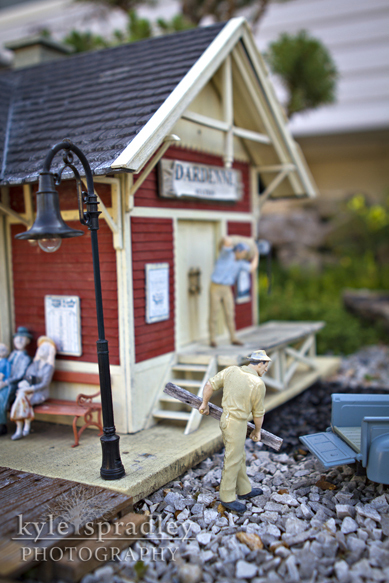 The Krauses were a prevalent family in the area. Frederick owned a brick burning plant and an extensive hog farm. He was good friends with the governor of Missouri at the time and thus the probable reason of the home mimicking the Governor's Mansion in Jefferson City. 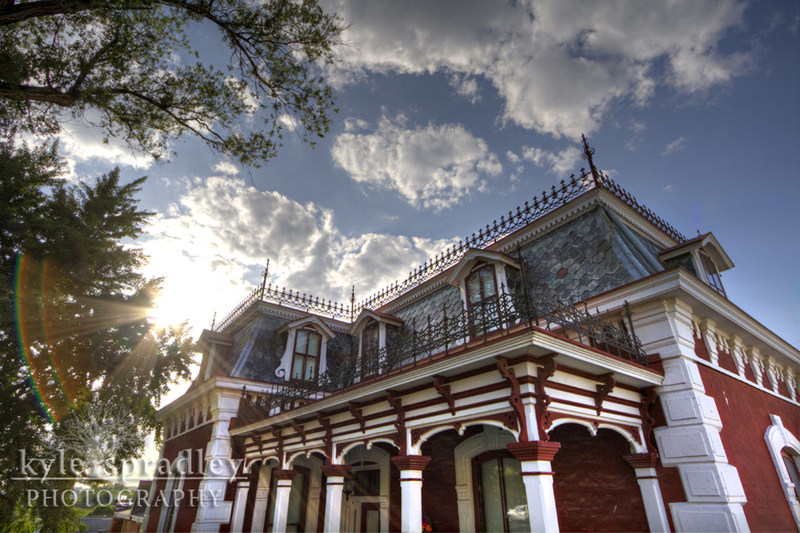 The mansard roof highlights the top of the mansion. In 1976, Ben Ferrel helped save the mansion from demolition by donating a large sum of money to help purchase the home and begin restoration work. 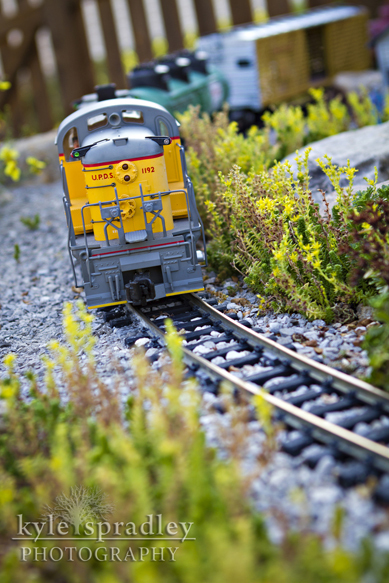 Over the next four decades, volunteers raised the funds themselves to complete the restoration. 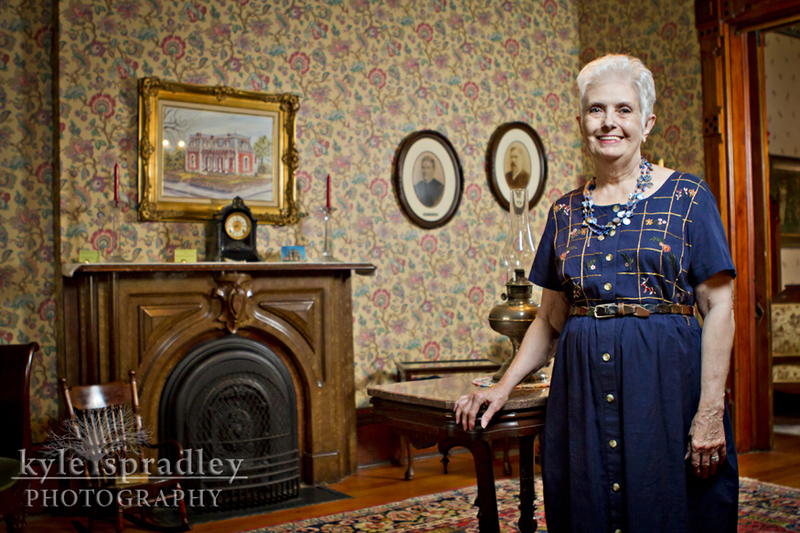 Betty Soper, who led the group of volunteers restoring the mansion, has been working with the mansion for nearly four decades. 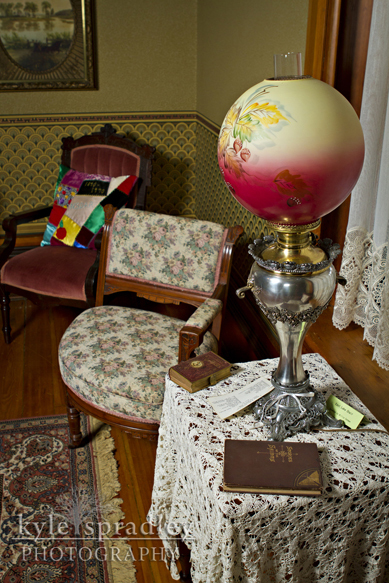 All of the home's carpet and wallpaper are based on goods that were available in the area during the late 1800s. All of the furnishings came from Platte Countians that donated it to the museum and are authentic, original pieces from the late 1800s. 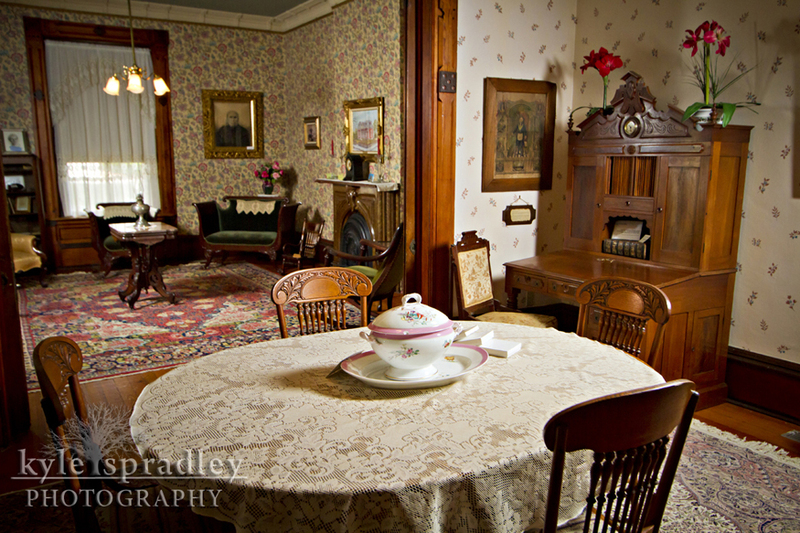 The desk in the dining room, at right, belonged to the first judge in Platte County. 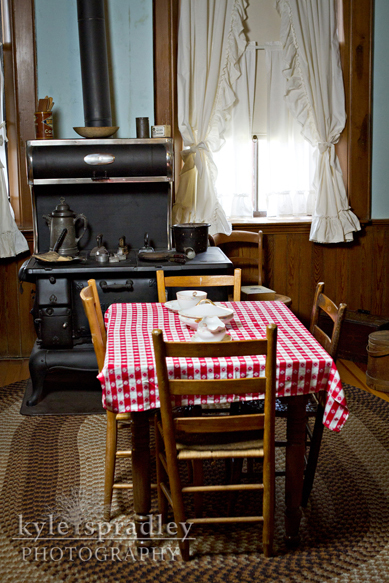 The "bringing-up kitchen" was used by the Krause family for entertaining guests. The family actually ate in the basement kitchen, where it was cooler in the summer and warmer in the winter. 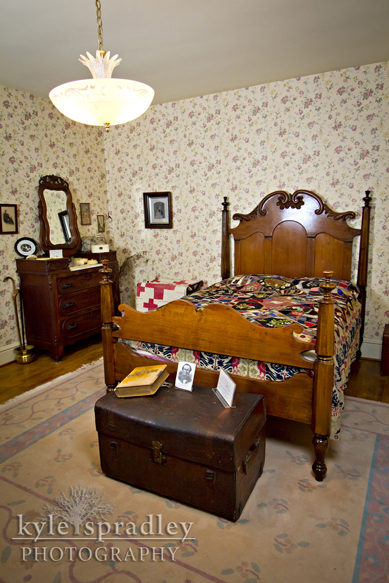 Mr. and Mrs. Krause's bedroom. The quilt on the bed is an original quilt made in 1882 of several hundred different patterns and scenes — all with different stitching. 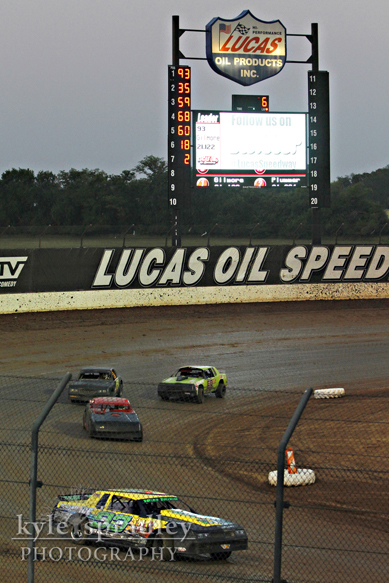 Been working on a story about the drag boat races at Lucas Oil Speedway in Wheatland, Missouri. 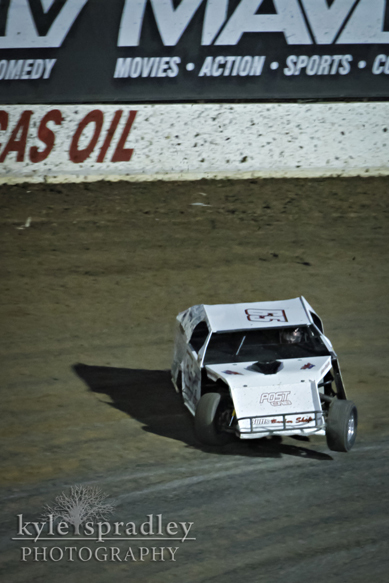 While there, I also got to check out the dirt races at the speedway. Such an awesome facility. 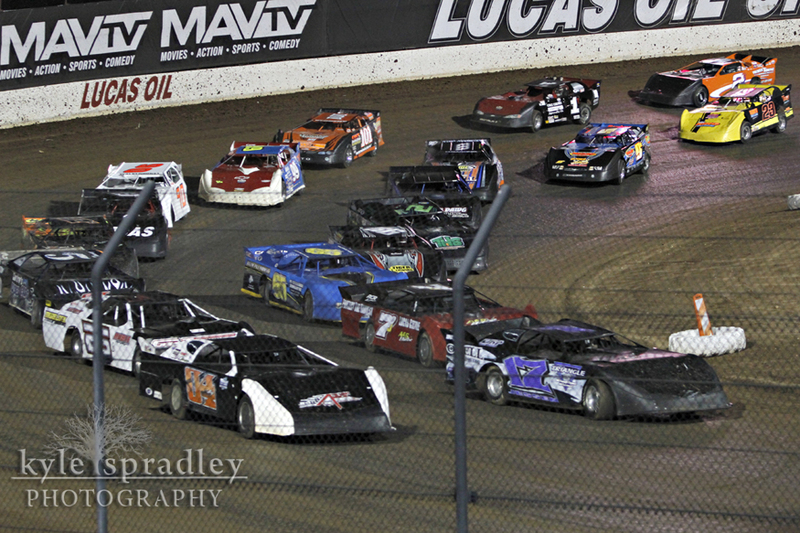 Only shot a few pics from my seats. 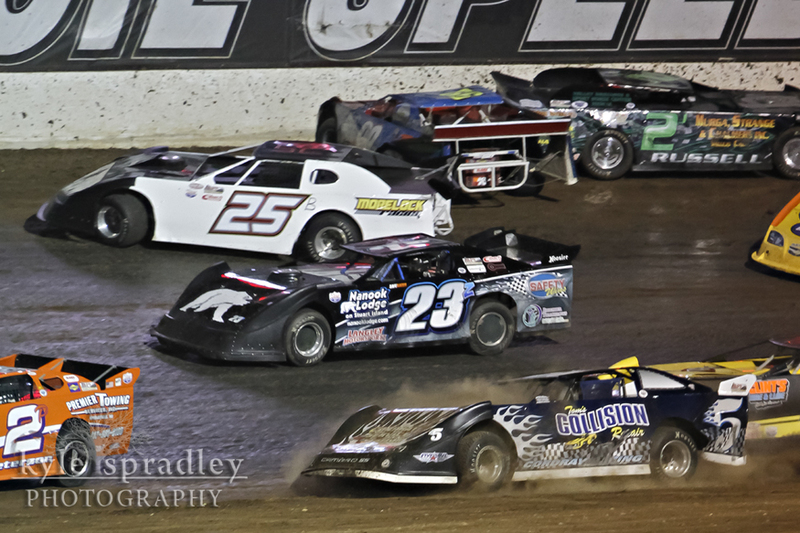 Would like to go back and shoot some more of the whole event. Enjoy!